Soundway present a very limited vinyl-only re-issue of a truly unique and obscure LP from 1974. 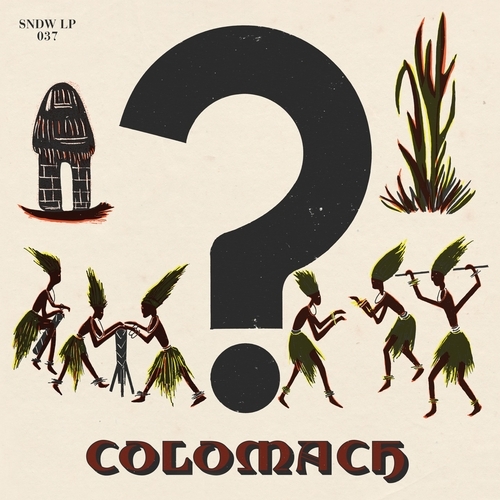 Performed by the cultural rock band Colomach and led by Northern Togo musician Gneni Mamadou, this record was recorded in EMI Nigeria's state-of -the-art studio and only ever released in Nigeria in tiny numbers. The original record is one of the rarest Afro-rock LPs ever made and has almost vanished since its production nearly 40 years ago. The album is a truly original fusion of traditional music from the arid Sahel region of West Africa (the northern areas of Togo, Ghana, Benin, Cote D'Ivoire, Nigeria and parts of Burkina Faso and Mali) with raw 'garagey' psych-rock that was honed playing alongside similar 'cultural' bands of the era such as Hedzoleh Soundz and Edzayawa. Strictly limited to 500 x 180g vinyl copies and released in a rigid paste-on sleeve, these will not last long so don't sleep! Unfortunately at this time we can't offer all the Colomach - Colomach tracks as individual wavs, as some of these tracks exceed the shops maximum (10.8333333333333mins) download length.